It’s been five years since Pink released an album. In that time the country and world has undergone a lot of changes. On her new album, “Beautiful Trauma,” the singer keeps it real. The video for “What About Us” is a depiction of Trump’s erratic behavior and the effect that it has on some folks. Pink gives her two cents on the current political climate and gives hope to those who may not have much left on her song “Whatever You Want,” “I feel like our ship’s going down tonight / It’s always the darkest before the light.” Those hoping for a the loud-mouthed, brash singer who sky-rocketed to stardom will be disappointed, as Pink is as much sentimental as political on this album. The pop star collaborates with pal Eminem on “Revenge,” one of the best tracks on the album, which is about a broken relationship. While Pink has reached the heights of superstardom and can do pretty much whatever she wants, with “Beautiful Trauma,” she has created her most personal album yet. 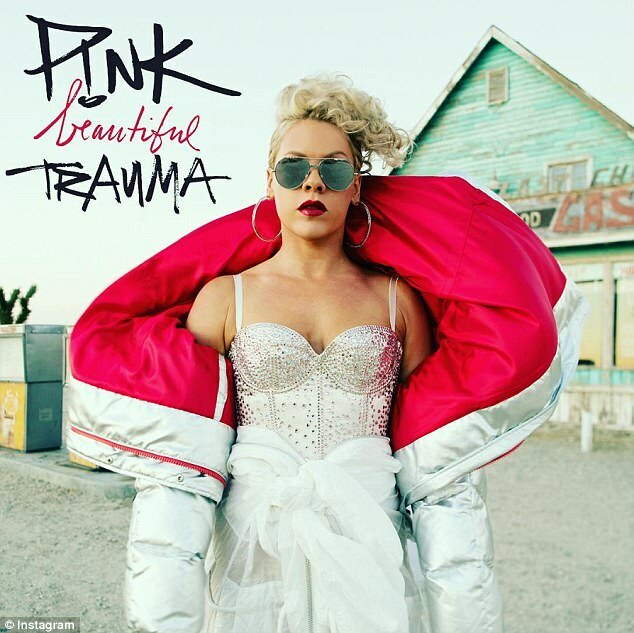 Pink’s “Beautiful Trauma” gets a B+.